"Good Brand - Quality, Trust, Prestige" is a nationwide promotional programme organized in Poland for ten years, which aims to select the best, most trusted and reputable brands in particular industries. Business Forum and Business Trends magazines carry out research aimed at determining the value, activity and recognition of brands in particular categories. The analysis covers, among others: the market position of the brand and its strength, the quality presented by a given product and consumer trust. 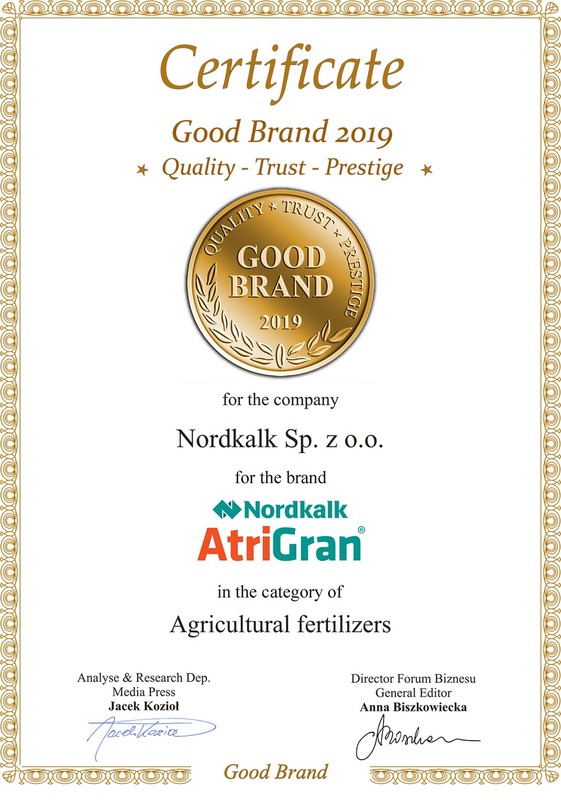 We are pleased that the quality of our granulated lime Nordkalk AtriGran has been appreciated by the programme committee, but above all by our customers!